Biennial pap smears – it’s just what we do, right? 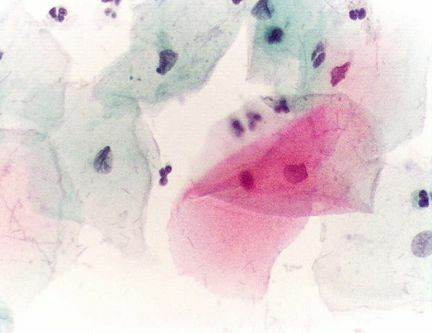 Well a paper prepared by the Medical Services Advisory Committee suggests that not only should women screen for pap tests less often, but we should also delay our first test – advice that’s raised concerns among cervical cancer advocates that women’s lives could be put at risk. At present, PapScreen Victoria recommends that all sexually active women should have a Pap Smear every two years, with the first test taking place between the ages of 18 and 20. If current recommendations are taken on board, the frequency of pap smears will be reduced from every two years to every three years from ages 25 to 49, and every five years from ages 50 to 65, as is current practice in countries like Britain and New Zealand, among others. Since the introduction of the current screening system in 1991, the incidence of cervical cancer among Australian women aged 20 to 69 has dropped from 17.2 new cases per 100,000 women to 9.3. But associate professor at the Lowy Cancer Research Centre at the University of NSW and an adviser to Cancer Council Australia, Karen Canfell, said international evidence had shown screening women more frequently than every three years delivered marginal benefits, and identifying and treating abnormalities in women younger than 25 carried a risk of child-bearing complications. Australian Cervical Cancer Foundation chief executive Joe Tooma said the most important thing was a better system, not just a cheaper one. ‘What if you’re the one woman who doesn’t get screened and dies of cervical cancer at the age of 23 or 24? I’m concerned that there could be someone who slips through the cracks. For the sake of a couple of dollars we don’t want to put a price on a woman’s life in a country that really should have a world class health system’, he said. Not sure what we’re doing in this country and who is actually monitoring and benefiting from this program, but it certainly is not operating in the best interests of women. Finland has the lowest rates of cc in the world and refer FAR fewer women for colposcopy/biopsy, they offer 6-7 pap tests, 5 yearly from 30 to 60 and this program has been in place since the 1960s, this is NOT new evidence. Australia treats more than 10 times the number of women than Finland, horrible levels of over-treatment, almost all of which is avoidable with screening in evidence based hands. Of course, enormous profits are made over-screening and over-treating women – our lifetime risk of referral for colposcopy/biopsy is a whopping 76.8%* while cc has a 0.65% lifetime risk. How can this be justified? It can’t, it’s just that most women are unaware of these facts as they’ve never been made available. What are we doing? Spending millions to worry and harm women. MOST women are HPV- and cannot benefit from pap testing, it’s risk for no benefit. HPV- women can be offered a chance to re-test for HPV in 5 or 10 years time (depending on age) to guard against a new infection, but those HPV- and no longer sexually active or confidently monogamous might choose to stop all further testing. This is smarter testing, it is more likely to save lives by identifying the 5% at risk and spares huge numbers of women from a lifetime of unnecessary pap testing and the fairly high risk of over-treatment. Aussie women are still being told they “need” 26 pap tests, this is BAD medical advice that risks our health. Dutch women are also using a self-test HPV device, the Delphi Screener, invented by Dutch gynaecologists, it’s also available in Singapore and elsewhere. Aussie women can order it from Delphi Bioscience in Singapore, armed with the results women can then make informed decisions about pap testing. HPV+ (and 30 or older) you have a small chance of benefiting from a 5 yearly pap test, HPV- and you’re not currently at risk and might choose to re-test in the future. The Dutch achieved their program by asking experts for their personal opinions, putting their professional reputations on the line, NOT as representatives of professional groups, this way reducing the risk of bias and self-interest. It’s time someone took our program and finally focused it on what’s best for women. The current review hopefully does the right thing by women, but I fear excess will be protected and we’ll move to 3 yearly pap tests from 25 to 70 – this is a shocking result when most women are not even at risk…IMO, it shows a callous disregard for our health, rights and bodily privacy. Beware of groups promoting and protecting excess, have a close look at them, do they have a vested interest in the program? Do they have a political interest, is their advice based on emotion and not fact? I’d urge all women to do their own research, sadly, even our GPs have a potential conflict of interest as they receive target payments for pap testing. HPV testing is not recommended for those under 30 as 40% would test positive, almost all are are transient and harmless infections that will clear spontaneously in a year or two. In evidence based screening young women are protected from pap testing and HPV testing. At age 30 women might choose to test or self-test for HPV. Thankfully, more women are getting to the facts and are walking away from this harmful program. I got to the facts early and have always declined to test, far too much risk for me. This entry was posted in News and tagged health, in brief, News, pap smear. Bookmark the permalink.